Visit Harbor Impact Ministries fundraising page. Click on the button below. 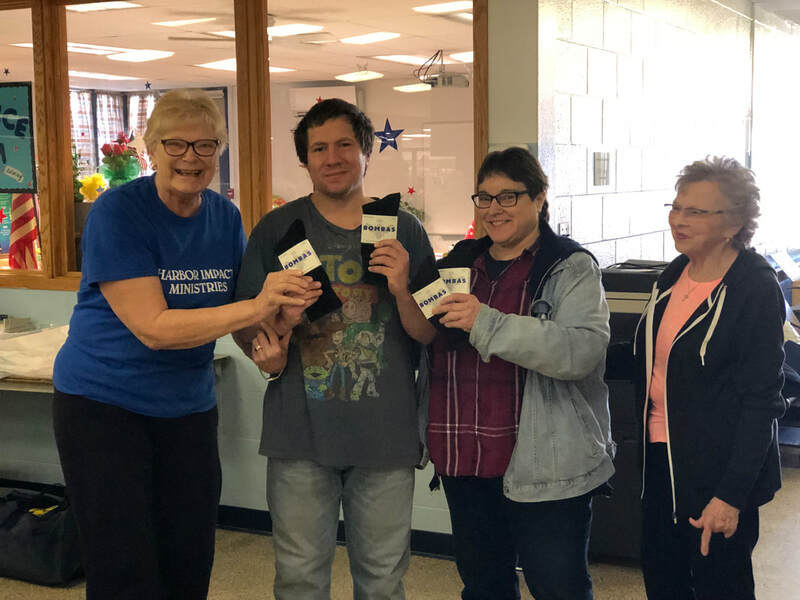 BOMBAS SOCKS DONATED 1,500 PAIR OF THE FINEST SOCKS AVAILABLE TO HARBOR IMPACT MINISTRIES AFTER ANNETTE DURCAN TOLD THEM ABOUT THE SERVICES PROVIDED TO THOSE STRUGGLING IN OUR AREA. Always work to be done in the Library and This 'n That. People need food and people need pets. We feed both at Harbor Impact Ministries. ​All our furniture went month after month except for one poor unloved headboard and footboard. IT WAS SO SAD! But one night our own Geppetto crept in and took the unwanted wooden pieces. He worked and worked and made the ugly duckling into a beautiful swan. Thanks, Joel Huffman. make it possible for Harbor Impact Ministries to provide substantive assistance to those who are without minimal resources. Harbor Impact Ministries or click on the partner with us button above. We are a 501(c)(3). Your gifts will be used to purchase food, cleaning products, hygiene supplies, paper products and diapers. We do not use dollars for anything else as we have no paid employees and our overhead is paid for by the Blue Water Free Methodist Church. 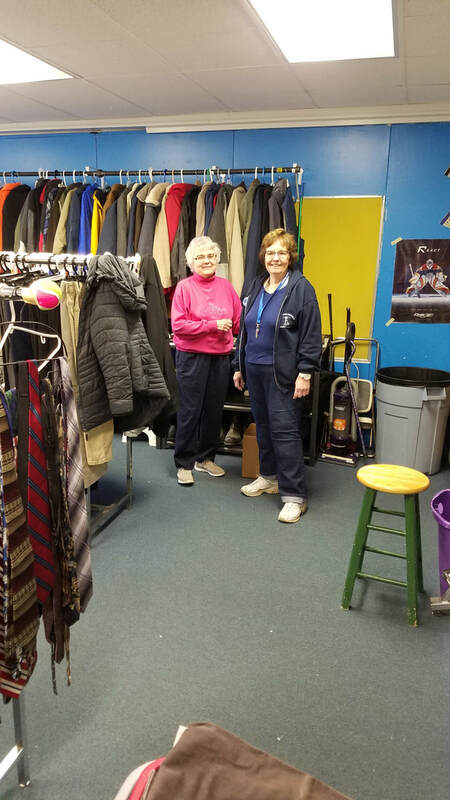 Your donation of new and used items may be dropped off Monday through Friday from 9:00 until noon except on Impact Days and the Fridays and Mondays before Impact Days. We will be happy to provide you with a receipt for your donated items. Our Resource Center is touching lives through teaching, tutoring, computer use classes, and other services uniquely tailored to the needs of our guests. All Harbor Impact Ministries services are free to people in need. All members of the Harbor Impact Ministries staff are unpaid volunteers. The team from the Man Cave are ready to meet many new guests. The youth room team is busy shelving and sorting items. Handmade name tags help us to pray for each volunteer who works at Harbor Impact Ministries. ​You will also be able to call every volunteer who helps you by name. Sorters work is never done.